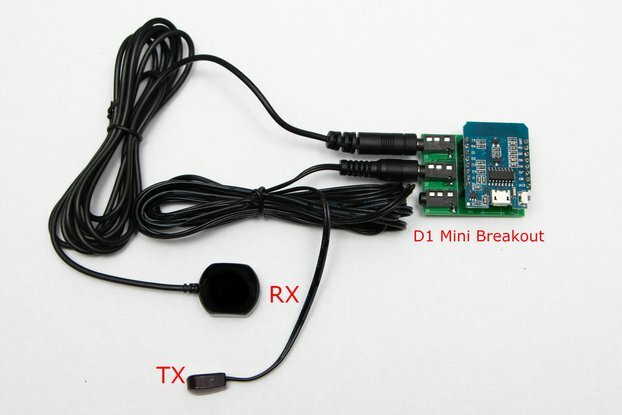 Do you want to receive the D1 Mini Breakout as a kit or pre-soldered? 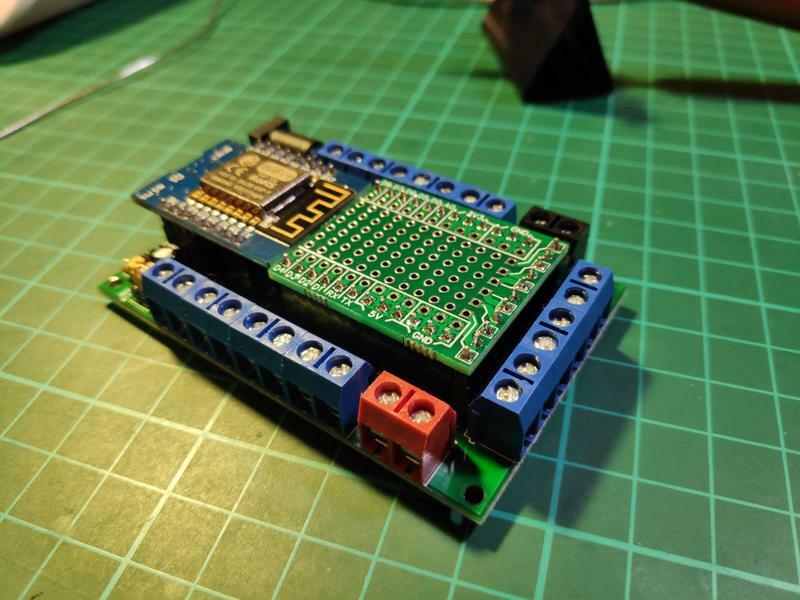 It is a screw terminal breakout and prototype for the Wemos D1 Mini style ESP8266 boards. Each pin of the D1 Mini is broken out to its own screw terminal, plus there are some additional screw terminals for power and ones that are user configurable. 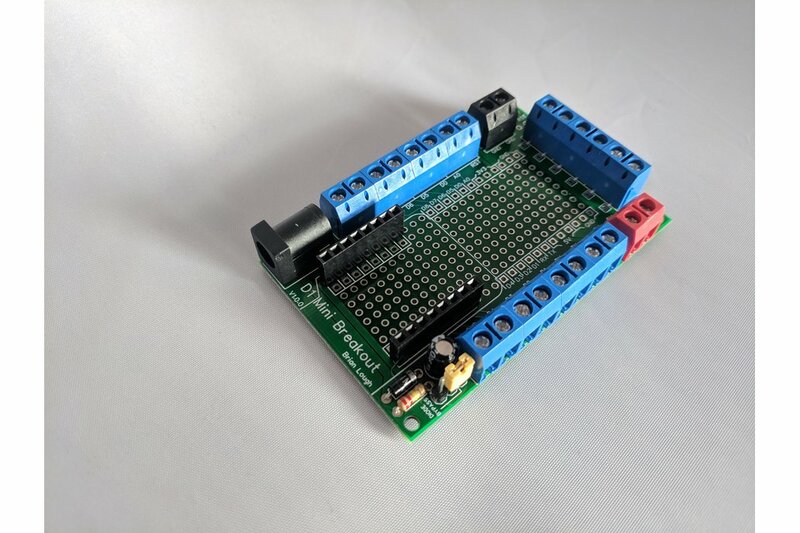 Recently I built a project that required two boards pretty similar to these but using protoboard. While I was in the middle of building the second one I promised that it would be the last one I would ever make! Those two boards where not my first ones to build like that, when I am making a project where components are not attached to the perfboard directly, I use screw terminals for flexibility, and it is surprisingly time-consuming to strip and solder wires just to break out the pins. It's not a great use of the limited time I get making stuff to spend an hour building a simple platform for the project to go in! 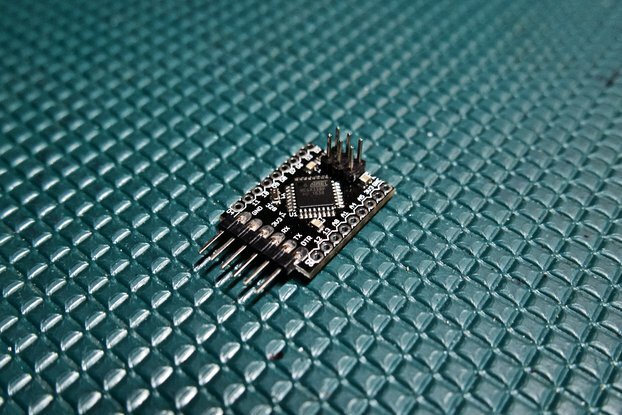 I came across a board somewhat similar for this for an Arduino Nano and thought that something like this could be incredibly useful for speeding up development of projects. 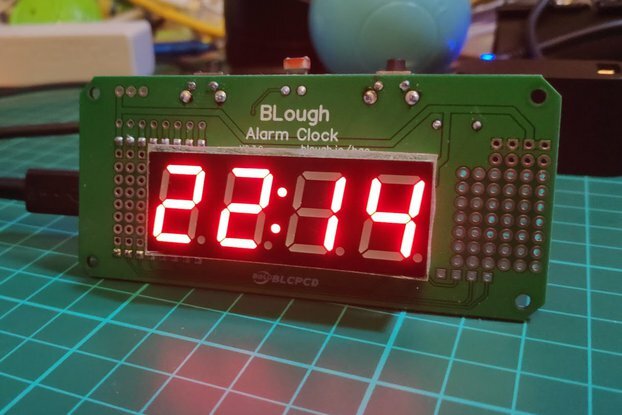 I don't believe anything like this exists for ESP8266 based boards. It also uses large screw terminals compared to the Nano board mentioned above. I think it's the fastest way of building semi-permanent prototype projects. Did I just make up the term "semi-permanent prototype"? Maybe, but it sounds good! All 16 pins of the D1 Mini broken out to screw terminals. Extra screw terminals for 5V and Ground, you can never have enough! Prototype area with all GPIO pins broken out beside it for convenience. NOTE: Does not include a D1 Mini! NOTE: I currently have two of the original kits that have the DC Jack Pre-soldered, please leave a note if you would prefer to not get these ones. The PCB is 5cm x 8cm. 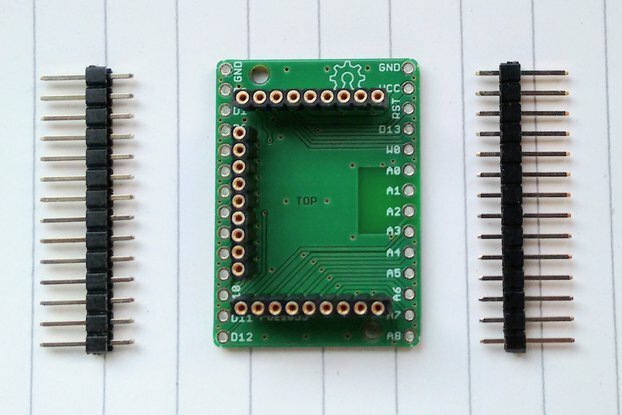 The breakout breakout is a PCB that can slot into the prototype area of the main Breakout PCB. This can be useful if you would like to try some circuits out without wanting to use up the main breakout PCB. With the breakout breakout you can simply just swap these in and out as required. The weirdly adapted female headers is basically another 12p female header pin with every second pin pulled out. It is one longer that in needed to be, but I couldn't find 11p ones! It doesn't impact anything but people who are bothered by that type of thing might want to snip it off! Why is there no option to buy a D1 Mini? Honestly, it's because I would have to charge too much for it compared to what you are able to buy it yourself directly. A D1 mini is $2.70 delivered from Aliexpress or eBay, I would probably need to charge at least $7.50 for it to make sense for me to sell it. Let me know if this would be something you would still be interested in and I can look into it. Why is the DC Jack Pre-soldered on the original kits? (Only two left of these at time of updating this) Because I am an idiot! I don't know what layout I used for the DC jack, but even breadboard friendly DC Jacks didn't fit through the hole! Luckily I was able to fix the boards by drilling the holes through, but the DC jack needs to be soldered both sides of the board for the 5V pin. Rather than try explain this in instructions, I think I should just pay for my mistakes by pre-soldering them all! Full details of the fix can be found here on my YouTube channel. What does the jumper block do? It controls connecting the D1 Mini 5V pin to all the other 5V pins. 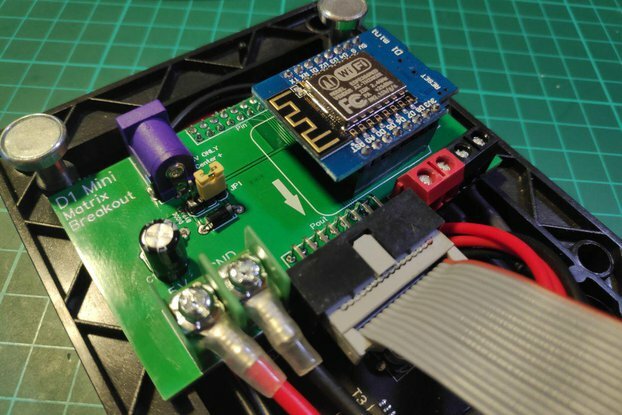 When the jumper is on the right two pins, the D1 mini will receive power from the DC jack, but the D1 mini 5V from the micro USB will not connect to the circuit because of the diode. I found that I had this problem with large neoixel projects, where I was trying to program the D1 Mini and the USB was then going to be trying to power 100 neopixels as soon as I plugged it in! When the jumper is on the left two pins, the diode will be bypassed so the micro USB power will be connected to all the 5V pins. Is the DC jack really 5V only? For simplicity sake, I say it is, as the D1 Mini regulator can only handle up to 5.5V. 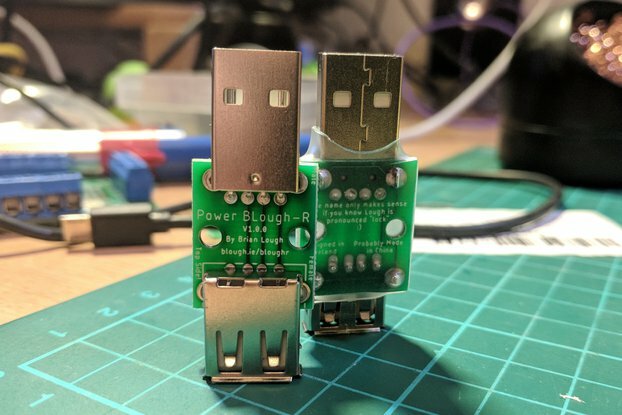 BUT it is possible to use it with higher voltages if you remove the jumper from the pins and provide power to the D1 mini some other way (either a voltage regulator to any of the 3.3v pins on the proto-area or using the micro USB on the D1 mini). All pads and screw terminals on the board labeled "5V" would then become VIN from the DC jack, the only exception to this is the 5v pin of the D1 mini and the pin immediately inside it. If you have more questions about this please just ask!